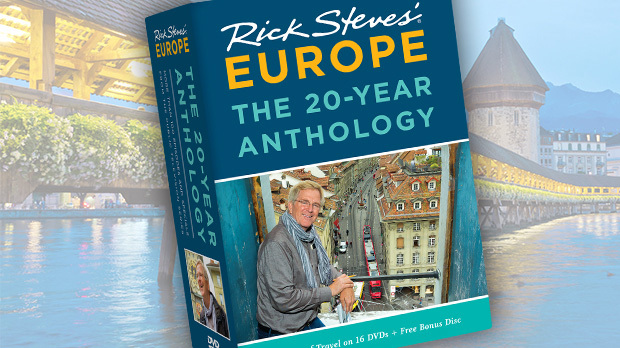 From its colorful Old Town square to sumptuous Art Nouveau facades, Prague offers plenty to see and do. But if you're willing to leave the city and explore the nearby Bohemian countryside, you'll be rewarded with extraordinary scenery, moving sights, and one bone-chilling church. 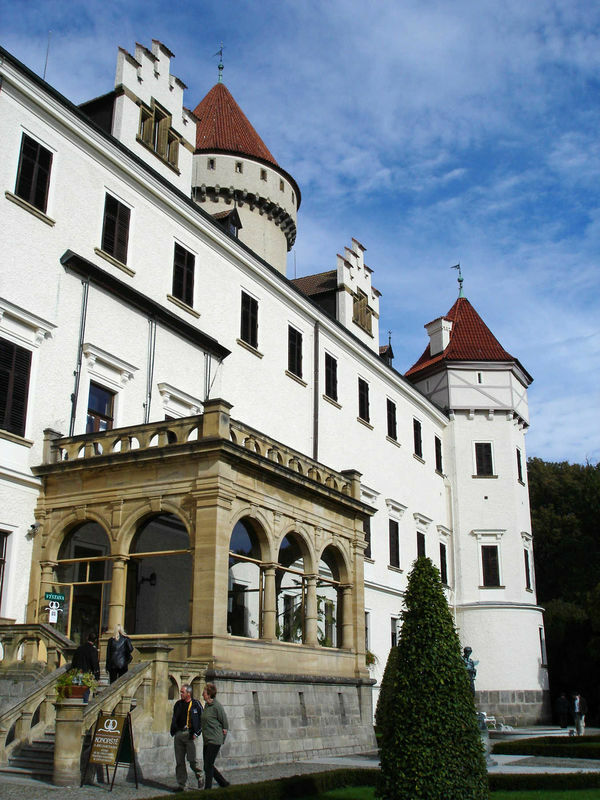 Thirty miles south of Prague is Konopiště Castle, the lavish residence of the Archduke Franz Ferdinand. Its interior dates from about 1900, when the heir of the Habsburg throne, Franz Ferdinand, moved in. Money was no object as Ferdinand turned his castle into a palace with all the latest comforts: As one of the first castles in Europe to have an elevator…a shower with hot and cold running water…and even a new-fangled flush toilet, Konopiště shows "modern" living around the year 1900. The archduke had lots of time on his hands because his uncle, Emperor Franz Josef held onto power from 1848 — and all the way until 1916. While he waited, Ferdinand amassed one of the best collections of weaponry in the world. For Ferdinand, guns were more than showpieces. Obsessed with hunting, he traveled around the world, shooting at anything with four legs: deer, bear, tigers, elephants, and this Polish buffalo. He actually recorded over 200,000 kills in his log. Keep in mind that royal hunting was a kind of massacre game with his aides sweeping doomed animals into the archduke's eager sights. Over 4,000 trophies decorate the walls and halls of his castle. Franz Ferdinand did more than his share of shooting. But in 1914, he himself was shot, with his beloved Czech wife Žofie, in Sarajevo. His assassination sparked World War I, which ultimately ended the rule of the Habsburg family — whose crown he had waited so long to inherit. A compelling sight near Prague is Terezín, a town built in the 1780s with state-of-the-art walls designed to keep out German enemies. In 1941, the Nazis evicted its 7,000 inhabitants and packed in 60,000 Jews, creating the Terezín Concentration Camp. The town's historic walls, originally meant to keep Germans out, were now used by Germans to keep the Jews in. But this was a concentration camp with a devious twist. This was the Nazis' model "Jewish town" — in reality a concentration camp dolled up for propaganda purposes. Here in what the Nazis called a "self-governing Jewish resettlement area," Jewish culture seemed to thrive, as "citizens" put on plays and concerts, published a magazine, and raised their families in ways that impressed Red Cross inspectors. The Germans wanted the Jews to accept this new reality — harsh, but at least life would go on. Children made dolls of their friends "in transport" — as if relocating was just the start of the next stage of their lives. They drew carefree memories of life before incarceration and made scrapbooks about life in the camp. 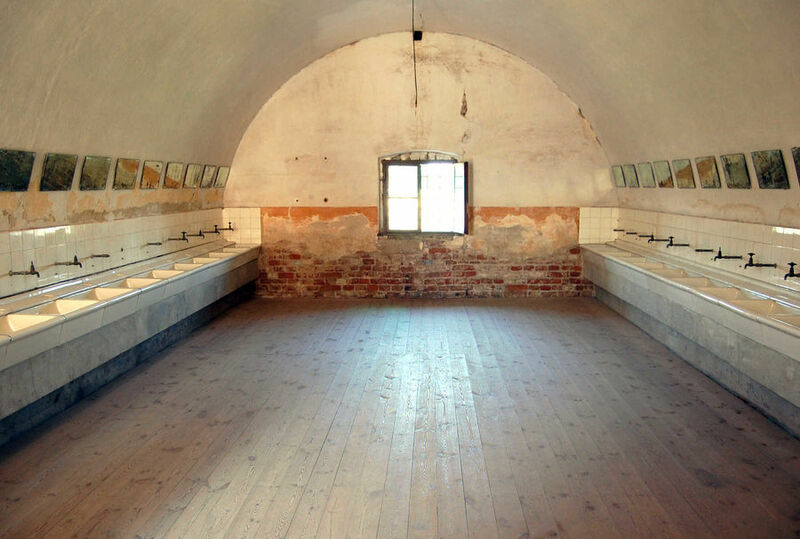 The museum comes with a recreated barracks with actual belongings of Terezín inmates. Sinks were installed — looking good for Red Cross inspectors from the outside world — but never actually plumbed with water. Tolerable as this sham Jewish town seemed, virtually all of Terezín's Jews ultimately ended up dying either here or at the extermination camps farther east. As you explore the camp, ponder the message of all such memorials: Forgive, but never forget. About 40 miles east of Prague lies the refreshingly authentic town of Kutná Hora. The town sits upon what was Europe's largest silver mine. Today, visitors play miner and climb down 200 yards below the town to explore the medieval mine shafts that honeycombed the ground under Kutna Hora. Centuries of mining in these narrow wet shafts made the ground under Kutna Hora resemble a giant anthill. The mine was so productive that the standard coinage of much of Europe was minted right here. Kutná Hora's famous Bone Church looks like a normal church on the outside, but inside, the bones of 40,000 people decorate the walls and ceilings. Fourteenth-century plagues and 15th-century wars provided all the raw material necessary for the creepily creative monks who made these designs. Those who first placed these bones 400 years ago wanted viewers to remember that the earthly church is a community of both the living and the dead, a countless multitude that will one day stand before God. Later bone-stackers were more interested in design than theology…as evidenced by the chandelier that includes every bone in the human body. 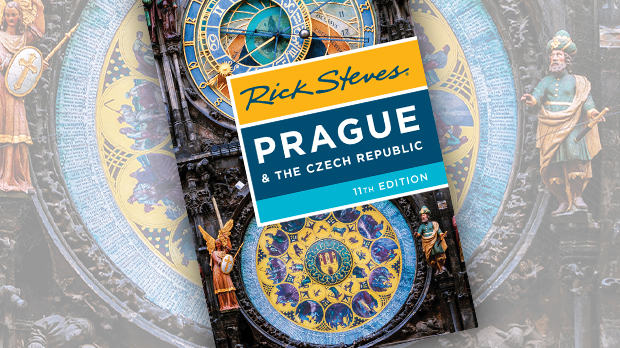 Whether you're in the mood for castles, sobering WWII history, or a quirky church, Prague's day trips offer something for everyone. You can explore and even get back to the city in time for an evening concert.